Our team includes proven commercial negotiators, best-in-class consultants and leading sports lawyers drawn from the sports and professional services sectors. Robert co-founded The Sports Consultancy in 2006 and is responsible for the growth of our rights holder, event consulting, host city, government and legal teams. Robert’s work focuses on enhancing commercial models and major event formats, gathering impact data, articulating returns on investment and selling hosting rights using state of the art due diligence tools, through our industry leading competitive tenders to iconic cities around the globe for some of the world’s most recognised events. Robert also creates major event strategies, event calendars and manages major event bids for our city and government clients. Robert also oversees the growth and development of our legal team and has created our regulated law firm The Sports Consultancy Legal and our independent Global Investigations service. Robert trained at one of the world’s largest law-firms, Linklaters in the 1990s and qualified and practised there as a litigator for 4 years. He joined the British Olympic Association as its head of legal through the Sydney Olympic cycle and the early days of the London 2012 bid. Robert then became a partner at the international law firm Farrer & Co., where he worked in the firm’s commercial sports group (ranked no.1 in the UK for 5 consecutive years for its sponsorship work) advising sports rights holders and international federations. Robert became global director of the Laureus Sport for Good foundation distributing commercial funding from founding patron brands to projects around the world using sport for social change. Robert’s recent work includes advising the IAAF, the BIE (World Expo), the IOC, World Rugby, European Professional Club Rugby, the Volvo Ocean Race, the America’s Cup, the International Equestrian Federation and the city of Gothenburg, the regional government of Flanders and the city of London in relation to sporting and major entertainment events. When Robert’s not running bids and event projects for major federations and governments, he’s out running the streets of north London, clocking up the middle distance training miles to scrape a few 10ths off his 800m time for the GB masters team. 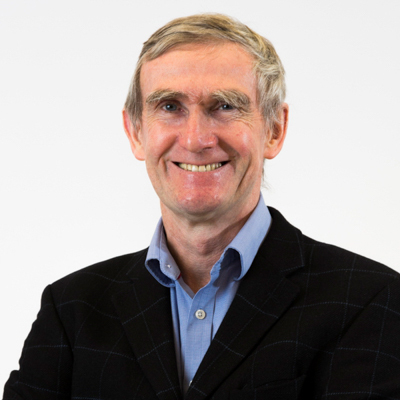 Angus has worked in the sports industry for over 25 years having successfully made the transition from professional sportsman to the one of the leading strategy consultants and commercial negotiators in the sector. During that time Angus and Robert have grown The Sports Consultancy from start up to 40 strong team and cemented the company’s position as one of the leading independent consultancies in sport and entertainment. Angus specialises on asset and event creation and the commercialisation of rights having worked with events ranging from Volvo Ocean Race generating over €200m revenues from new and existing rights revenues to the creation of new events like Ride London and leading on commercial work with rights holders such as FIBA, The America’s Cup, FEI, ICC, World Rugby. Having trained as a lawyer and worked as an oil and gas litigator early in his career, Angus is well known as a creative and practical deal maker. Marc joined in February 2015 to spearhead our developing Rights Marketing department. Marc has since built up the TSC rights holder representation offering, winning major contracts from UK Athletics, London 2017 World Athletics Championships, The IAAF World Indoor Athletics Championships Birmingham 2018, The European Indoor Athletics Championships Glasgow 2019, LEN European Short Course Swimming Championships Glasgow 2019, Team GB BOA, UCI Road World Cycling Championships Yorkshire 2019 and The FEI amongst several blue chip Federations, Teams and Events. Marc and his TSC team have recently packaged up and brought in significant multi year sponsors for these Properties such as Muller, Spar, Co-op Bank, Co-op Supermarkets, BP, Strathmore (AG Barr), Boeringer, Baxters, and many others – indeed achieving over 100 deals since the formation of the Department in 2015. Marc also brought in Entertainment sponsors ie Edinburgh Gin for Edinburgh’s Hogmanay. Following a successful career in media sales management for blue chip Magazine Groups, a move to The Millennium Dome ( NMEC) in 1998 took Marc into the world of sponsorship. 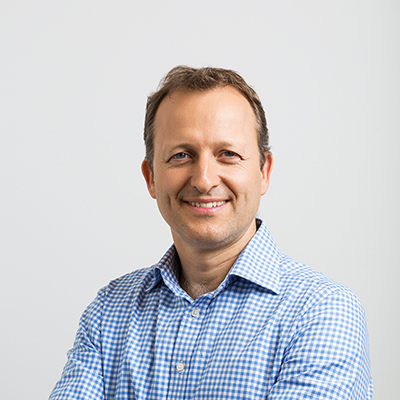 From there Marc joined Alan Pascoe’s Fasttrack in 2000 and built a team successfully selling a range of exclusive UK Olympic Sport rights, headed by UK Athletics. The work on Athletics saw many tens of millions of pounds raised including with Aviva, McCain, PZ Cussons, Lucozade, Red Bull, London GLA and Scholl. 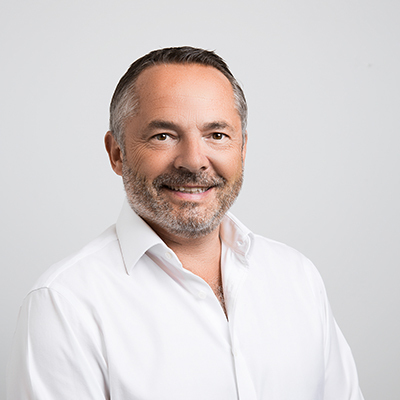 Marc also led on raising record breaking National Partner revenues for a string of Global and European Athletics and Swimming Championships staged in the UK. Marc also brought in the multi year title deal of Balfour Beatty for The London Youth Games, Europe’s largest Youth multi sport event, as well as Thames Water as title sponsor of their annual Regatta. Marc moved in Jan 2011 to join SMAM ( Sports Marketing and Management) to spearhead, alongside the SMAM CEO, all the sponsor sales for The Glasgow 2014 Commonwealth Games, embedded in the Organising Committee and bringing in almost 50 national and global commercial partners to exceed the OC target of 44 million pounds. Marc also served, in his spare time, as a Wandsworth Councillor for two four year terms until 2010, and fought Central Ayrshire, Scotland as a Parliamentary Candidate in the May 2015 UK General Election. He has served as Vice Chair of London Youth Games as well as currently a Non Exec Board Member of The British Athletics Supporters Club and on the Department of International Trade’s Global Sport Economy Advisory Board. 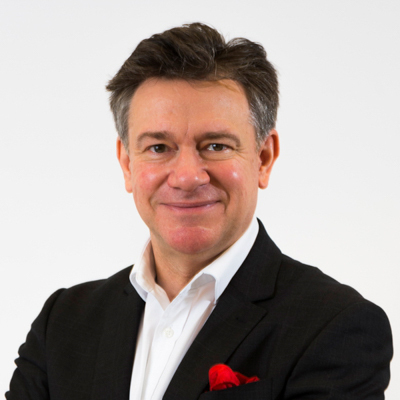 Simon is responsible for the development and implementation of The Sport Consultancy’s commercial strategy in the UK&I and internationally. His role involves working with a diverse range of client sectors, including rights holders, cities, events, media platforms and brands. His focus is on applying industry best practice and a data and insight led approach to help clients unlock growth. 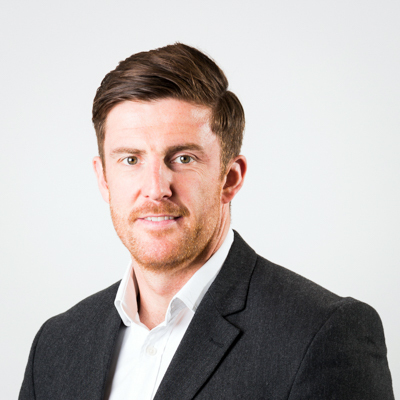 Simon joined The Sports Consultancy following 3 years as Head of Business Development at Nielsen Sports. Prior to that, Simon was Chief Commercial Officer for the Lawn Tennis Association, where he drove activities in sponsorship, major events, TV, participation and marketing across British tennis. 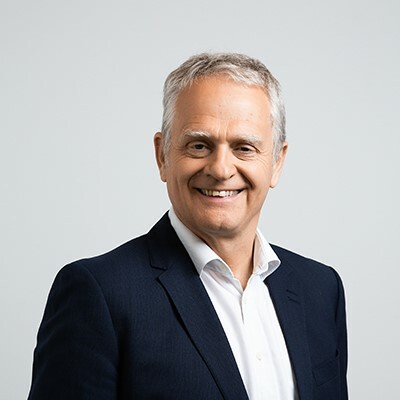 Previously, Simon gained over 20 years’ commercial and leadership experience in senior international and domestic roles at Diageo and then as CEO of North One Sport, the global promoter of the FIA World Rally Championship. 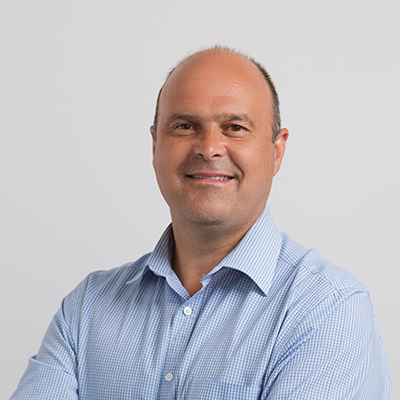 Simon’s business passion is adopting a consumer mindset to help organisations maximise their assets, people and go-to-market market propositions. He also loves speaking and working in Spanish, Portuguese or French – and enjoying the odd drop of wine along the way. Dermot qualified as a chartered accountant with Arthur Young McClelland Moore (now part of Ernst Young) and has many years director level experience across the leisure, retail and service industries. 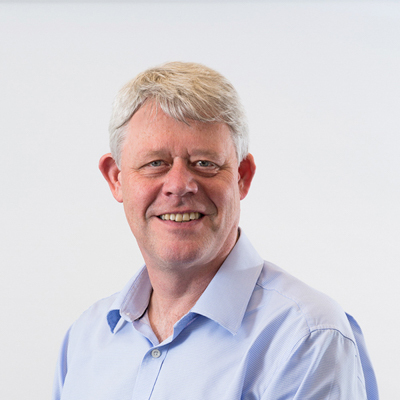 Dermot has held both executive and non-executive roles and has been responsible for fund raising for a number of businesses, both equity and debt and managing the exit processes for investors. Dermot was CFO of Loyalty Management UK, the owner and operator of the Nectar Programme and Finance Director of Pinnacle Health and Leisure. He has also spent time working as Director of Resources for WWF-UK, a large non-governmental organisation working across the globe to protect the environment. Dermot’s role at The Sports Consultancy is to assist the business in developing and executing its plan for the future. Dermot has been an active participant in sport for fifty years and today his principal interests lie in triathlon, cycling and golf. John joined The Sports Consultancy in July 2018. He is an experienced finance professional who combines over 20 years’ experience as a company director and 9 years in consultancy. John joined The Sports Consultancy from the corporate finance team at Moore Stephens in London where he specialised in valuing IP and businesses for litigation, dispute resolution and non-contentious matters. Prior to joining Moore Stephens was a director /owner of a leading independent valuation consultancy. John has previously worked in sport and media, as finance director of ISC, the commercial rights holder to the FIA World Rally Championship. He has also held finance director positions within subsidiaries of major groups including GEC, Booker, Unilever and Virgin and PE backed companies. He is a chartered accountant having qualified with Arthur Young McClelland Moore (now part of EY). John’s role at The Sports Consultancy is to assist in the development of the business and the execution of strategic plans. John is a sports fan, who by his own admission spent far too much time on the cricket pitch. He now focusses on staying fit, and watching as much sport as the family allow. Ashley is a highly experienced sports and media lawyer and board and executive committee member of the British Association of Sport and Law (BASL). 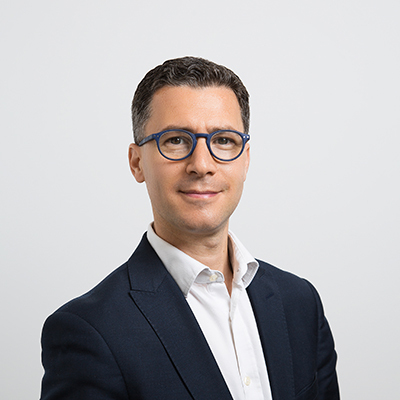 He assists The Sports Consultancy’s clients in relation to commercial legal, governance and strategic matters across a number of projects, including event bidding, venue procurement, sponsorship, the production and exploitation of media rights, investigations and regulatory issues. Ashley has previously worked in the sports group at international law firm Bird & Bird as well as within the in-house legal teams of global media and entertainment organisations Modern Times Group (owner of Viasat Broadcasting and Bet24), the Financial Times and HMV Group. Ashley is also a keen water polo player and can be found in his spare time treading water in swimming pools around the country. 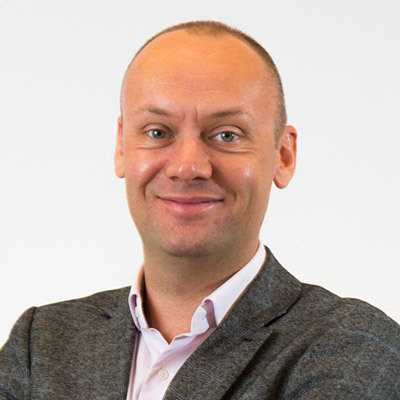 Simon began his career at Sport England in 1999 where he worked in the Lottery Strategy Unit, monitoring and evaluating the company’s progress against the 1999-2009 funding strategy. In 2002, he moved into consultancy and worked on a range of high-profile projects, including an 18-month secondment with Elmbridge Borough Council project managing the Elmbridge Xcel Centre leisure PPP and a secondment with World Cup Barbados Inc. In the latter role, he spent three-and-a-half months as Cricket and Facilities Manager for WCB’s successful bid to host the final of the 2007 Cricket World Cup. In 2007, Simon moved to Capita Symonds Sport & Leisure, where he was primarily responsible for major event work, as well as delivering business planning and procurement support to local authorities. High profile projects included the 2015/2017 World Athletics Championships Feasibility Study for London, the 2014/16 European Swimming Championships Feasibility Study for London and 2015 Eurobasket Feasibility Study, as well as the first joint leisure management contract procurement in the UK (for Guildford and Woking Borough Councils). He joined The Sports Consultancy as a Director in January 2012 and has continued to deliver a range of high profile projects, including the procurement for British Cycling of a new Delivery Partner for the Tour of Britain from 2014-18, the feasibility study and bid support for Scotland’s successful submission to host the 2019 Solheim Cup, the feasibility study for the new Scottish National Performance Centre for Sport (now Oriam, opened in 2016) and economic impact appraisals for the 2016 and 2017 EPCR Champions and Challenge Cup Finals and the 2017 IAAF World Cross-Country Championships. 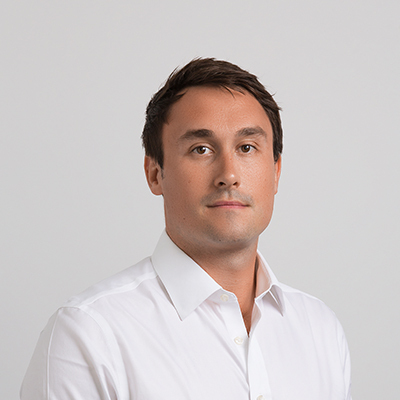 Tom is responsible for leading the growth of The Sports Consultancy’s venue development capability, establishing the team as a leading consultancy in the development of significant sport and leisure facilities and venues. He has delivered commissions for many clients including central and local government, national governing bodies of sport, universities, developers, architects and other consultancies. He has over 15 years’ experience in the sport and leisure sector, focussing on the development of capital projects. 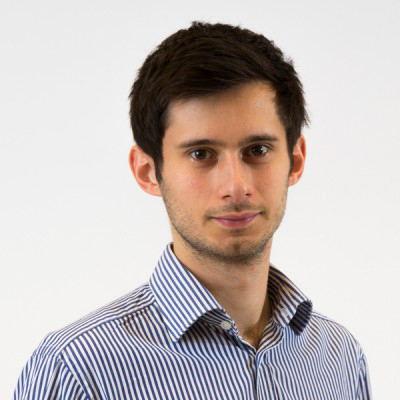 Tom began his career at Sport England, where he worked on the development and assessment of capital projects. From Sport England he moved to the Big Lottery Fund where he was a programme manager leading the development and delivery of the £750m Physical Education and School Sport Programme. 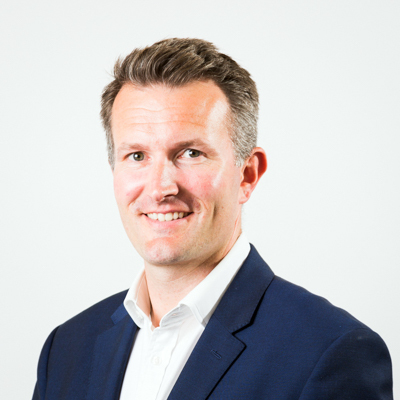 He then moved to consultancy, rising to become an Associate Director within Capita’s Sport & Leisure Consultancy team, before joining The Sports Consultancy in 2011. Chris began his career in the City, working in management buy-outs and corporate acquisitions for Royal Bank of Scotland and NatWest financing. Completing a number of sport and leisure related deals sparked a professional interest in sport and he moved to a specialist leisure consultancy PMP in 2003. Before joining the Sports Consultancy Chris was an Associate Director with Capita Symonds Sport & Leisure. He led the consultancy’s management and procurement work. In 2011 Chris completed the procurement of an operator for Guildford Spectrum – the largest public leisure centre in the UK – as part of the first ever joint procurement process on behalf of Guildford and Woking Borough Councils. Chris focuses on two key areas of consultancy work: leisure management procurement and venue facility feasibility. He has delivered projects for many clients including UK Sport, the English Institute of Sport Sheffield, The Government of the Isle of Man and the States of Guernsey, as well as numerous local authorities across the UK. Craig began his career as a fitness instructor in 1997 working for Everyone Active at Enderby Leisure Centre. Soon after he commenced this role, he moved into a variety of managerial roles for Everyone Active, most of which involved the launch of new fitness facilities within local authority leisure centres. After managing at a regional level, Craig joined the Business Development Team with Everyone Active, a role which led to a huge amount of success. He worked on a large number of successful bids, including Bristol City Council, Watford Borough Council, East Herts District Council, Mid Suffolk District Council and London Borough of Havering. In 2010, Craig joined the Business Development team at Serco Leisure, where he continued to successfully bid for leisure services across the UK, substantially increasing the size of the business in the process. As Business Development Director, Craig notably led on contract wins for North Down Borough Council, including Northern Ireland’s first 50m competition pool at Bangor Aurora. He also project managed the successful bid for the National Water Sport Centre, Nottingham which added a 21-year partnership with Nottinghamshire County Council to the Serco business. Following several other successful bids in Mansfield and Shropshire, Craig also project managed the winning tender for the Birmingham City Council framework, which concluded in 2015. This framework sees the development of 9 leisure centres (4 of which are being rebuilt) and a total investment of over £40m. Craig joined The Sports Consultancy as Associate Director in 2017, following 20 years working within the local authority leisure sector. Craig’s wealth of operator knowledge, developed through a variety of junior and senior roles, now compliments the TSC team in their work in the sector. Whilst Craig is new to the consultancy sector, he brings a variety of skills ranging from commercial, legal and financial competencies all supported with a strong operational background. Following nearly 20 years in the sports industry Fraser joined The Sports Consultancy in February 2018. Fraser’s focus is working with The Sports Consultancy’s cycling clients, with a particular focus on the UCI World Road Championships which is being held in Yorkshire in 2019. Fraser joined from Female Sports Group, a consultancy he jointly founded in 2014 and which is dedicated to female and mixed gender sport. During his time there, he has transformed parkrun’s commercial proposition, and this has seen a presenting partner (Vitality), two official partners (Exodus and Leeds Building Society) and several other sponsors (Vhi, Co-op and Healthspan) secured. Whilst there Fraser also worked with Table Tennis England, England Netball, Badminton England, World Cycling Revival and Herne Hill Velodrome to secure commercial partners. Fraser was previously General Manager of BDS Sponsorship, a business that he was part of for 18 years with six of those at the helm. During his time at BDS he worked with a wide range of rights holders to commercialise their sponsorship assets. As well as being a keen cyclist Fraser loves all sports and regularly runs, plays football and represents Kings at rugby – where he is also both a coach and chairman in the mini rugby section. Siân is one of our Senior Consultants in the Consulting team and manages projects across the breadth of our capability. Siân’s focus areas are city and event strategy, bid management, host procurement process management and economic/ social impact studies. Recent projects include England’s bid for the Rugby League World Cup 2021, Spain’s bid for The Ryder Cup 2022 and working with VisitFlanders to set up a specialist event agency – EventFlanders. Siân also works with a number of our rights holder clients including World Rugby (Rugby World Cup 2023 host procurement process), IAAF (World Indoors host procurement documentation) and EPCR (turn key host procurement management for EPCR Finals in 2018, 2019 and 2020). Recent economic impact studies include London 2017 (IAAF and IPC) and EPCR Finals 2017. Siân’s background is in both sport and management consultancy. 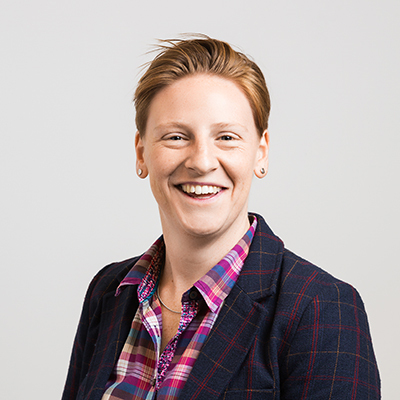 Prior to joining The Sports Consultancy in 2013, Siân worked at Deloitte in their Operations Consultancy practice, consulting both private and public sector clients on all aspects for the project lifecycle from strategy to delivery. Siân also spent two years working at the London Organising Committee for the Olympic and Paralympic Games (LOCOG), where she helped create and deliver a readiness an testing programme involving a range of exercises across all venues. Outside of work, Siân enjoys skiing, running and watching rugby (especially when Wales win). Andy is a sports marketing lawyer with over twenty years’ experience in the industry. Specializing predominantly in sponsorship agreements, he is equally comfortable advising brands or rights holders. He has advised the likes of Carlsberg, Nike, Nationwide, npower, Aviva, Aegon and Gillette on sponsorship matters and has drafted and negotiated sports marketing contracts for rights owners such as FIFA, UEFA, Rugby World Cup, British & Irish Lions, Six Nations Rugby, the English Football League, Cricket West Indies, Ascot Racecourse, the International Tennis Federation, Intenazionale di Milano, AS Roma and numerous sports clubs and celebrities. He also acts as a consultant for sponsorship clients, advising on the structuring of commercial programmes and refining rights packages. Andy lectures regularly on sports marketing topics at a number of universities and at industry events. He supports Everton. David Becker is an international lawyer specializing in the sports industry. David began his career working as a corporate lawyer with prominent Freshfields in London. He then joined sports law specialists Townleys before becoming a partner at Bedford Row firm Collyer Bristow, where he headed up the Sports Group. During that time David was listed by Legal 500 and Chambers as a leading lawyer in the sports sector several years running. After five years at Collyer Bristow, David was recruited as senior counsel for the International Cricket Council (ICC) in Dubai in 2007. He was promoted to Head of Legal of the ICC in 2008. In 2011, he completed the General Management Programme at Harvard Business School in Boston. 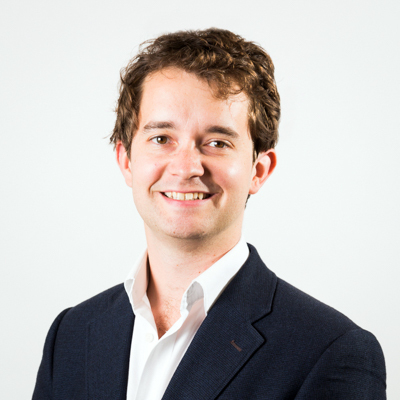 In 2012 David joined The Sports Consultancy as Director of Legal. After a sabbatical in 2017 to work on South Africa’s Rugby World Cup bid committee for the 2023 World Cup bid, David resumed his career at The Sports Consultancy in 2018. David has advised a number of high profile clients in the sports industry during his career, including International Cricket Council, NIKE, Vodafone, World Rugby, England & Wales Cricket Board, Paralympic World Cup, Clipper Round the World Yacht Race, Cricket South Africa, Rugby Centurions and America’s Cup, as well as a host of leading athletes such as four-time Olympic gold medalist Sir Ben Ainslie, four of golf’s major winners, Olympic swimmer Chad le Clos, Protea’s captain Graeme Smith and former President of the FEI, HRH Princess Haya of Jordan. David has written chapters in the first edition of “Sport: Law and Practice” by Taylor and Lewis and in 2007 published the first book dedicated to the legal aspects of event management, entitled “The Essential Legal Guide to Events“. He represented Protea’s captain Faf du Plessis and fast bowler Kagiso Rabada in their recent high profile appeal cases before the ICC and worked as part of the legal team in the prosecution of the three Pakistan players for spot fixing in 2010 and several South African players for attempted match fixing during the 2016 Ram Slam T20 competition. He has appeared on BBC News 24, BBC World, Radio Five Live and Sky News Australia on regular occasions advising on matters ranging from slide tackles and sacked managers to drug scandals and match fixing. A competitive sportsman and endurance athlete, David has completed the 7-day Sahara Ultra-marathon, and has participated in the World Memory Championships, the Mind Sports Olympiad and the World Speed-reading Championships. He is a founding trustee of the international Aids charity Starfish, Beyond Sport and the Lewis Pugh Foundation. Rob trained at the international law firm Squire Patton Boggs in the Sports & Entertainment group. He has experience advising on a wide range of corporate and commercial matters for clients in the media and entertainment sector including sponsorship agreements, introducer agreements, services agreements and IP protection and distribution. He has advised corporate entities and individuals on purchase agreements, shareholders’ agreements and matters of general corporate governance. 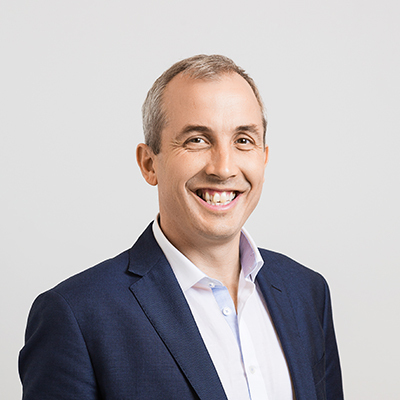 Rob also has in-house experience having worked in the legal teams at The Walt Disney Company and Sport England where, at Disney, he advised on the distribution of its media programming and channels to TV broadcasters and media platforms internationally. In his spare time, Rob plays and watches a wide range of sports. He is a playing member of the MCC, has featured in an award nominated short film and volunteers for the homeless charity The Passage. 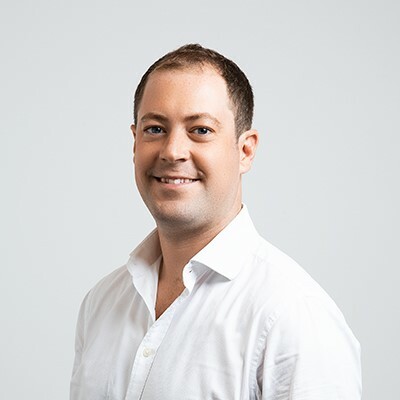 Sean came to The Sports Consultancy from Deloitte Consulting’s Operational Excellence team, during which time he consulted to a large variety of clients including the BBC, Goldman Sachs, Shell, Deutsche Bank and Credit Suisse. During this time he gained a broad understanding of a number of complex businesses and functions. Since joining The Sports Consultancy in 2012, Sean has worked with a number of the world’s leading rights holders and host cities. He has led projects across the major events lifecycle from strategy development and new asset creation through to effective commercialisation and implementation of major events. Recent clients include Velon, The ICC, UCI, British Cycling, London and Partners, the BIE, Falcon and Associates, Volvo Ocean Race, Formula E and World Rugby. Kirsten has recently returned to The Sports Consultancy as a Senior Consultant following five years in Auckland, New Zealand. 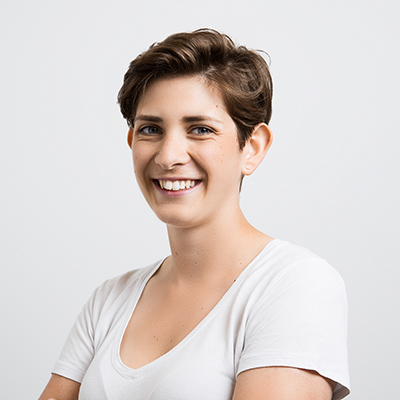 Kirsten works across the Consulting practice with a particular focus on host city consulting, city and event strategy and rights holder strategies. Her recent and current clients include the FIA, The FA, EventFlanders, UK Sport, European Professional Club Rugby and the International Tennis Federation. She has a keen interest in women’s sport and the rise of fan and commercial engagement and investment in football and rugby in particular. While in New Zealand, Kirsten led the Major Events Feasibility team at Auckland Tourism Events and Economic Development developing and implementing events strategy. She also spent 18 months in the Management Consulting team at PwC advising public and private sector clients on operational effectiveness, strategy, operating model and organisation design. Her sports and events sector clients included New Zealand Major Events, the New Zealand Olympic Committee and Sport New Zealand. Kirsten is legally qualified, training at Magic Circle firm Freshfields Bruckhaus Deringer before being seconded to the London Organising Committee of the Olympic Games and Paralympic Games. She is an avid sports fan closely following Liverpool FC, Liverpool WFC and Scotland rugby. Anaïs joined the agency after 9 years of experience in the luxury and sports industries. Passionate about Equestrian Sports, she has been lucky enough to always combine work with passion and has progressively gained an extended knowledge of the Horse industry. Anaïs graduated with a Masters from Neoma Business School in France having studied Marketing and Communications. She started her career within the Equestrian Department of Hermès Sellier in Paris where she worked as a Marketing Manager and then as Partnership Manager. There, she developed new partnerships and sponsorships with top riders, national federations and horse shows. With the will to extend her skills in a new environment and to face new challenges abroad, Anaïs moved to London in 2014 and joined the Longines Global Champions Tour team as a Marketing and Sponsorship Manager. Amongst other sponsors, she took particular care of the title and main sponsor, Longines throughout the 15 events of the global series. 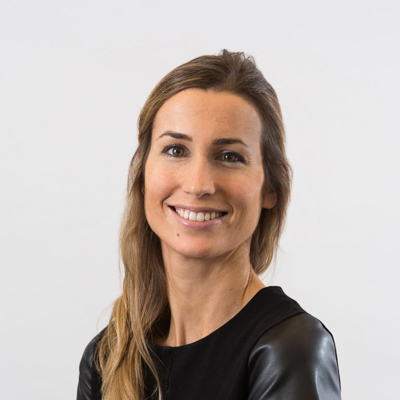 Anaïs joined The Sports Consultancy in 2016 and is responsible for the equestrian portfolio and the Volvo Ocean Race. In her spare time you will usually find Anaïs searching for her two young kids in the park or discussing the latest equestrian news with her family and friends. She also secretly hopes that one of the young horses she is breeding may become the next Olympic medalist! In his role at The Sports Consultancy, Richard has delivered a series of projects from across our client portfolio. These clients include, the Federation Internationale De L’Automobile (FIA), European Professional Club Rugby, World Rugby, Formula E and the America’s Cup. 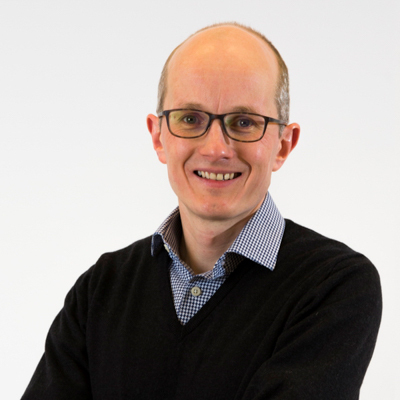 Richard’s recent projects include facilitating the consultations with stakeholders from across the UK’s high-performance sport landscape as part of the UK Sport Funding model review. Richard was also part of The Sports Consultancy’s Event Impacts team which delivered the Impact Study for the 2017 International Specialised Expo, in Astana (Kazakhstan) on behalf of the Bureau International Des Expositions – the rights holder of the ‘World Expo’. Richard came to The Sports Consultancy from London Irish Rugby Club. During Richard’s time at London Irish, he led on the delivery of the Hazelwood Training Centre. Richard was integral to the planning and delivery of Hazelwood being the only venue to host visiting teams from both the 2015 Rugby World Cup and the 2015 NFL International Series through working collaboratively in a multi-stakeholder environment with local providers and senior league officials. Richard has always been passionate about sport and the impact sport can have. In 2012, Richard won the Wyfold Challenge Cup at the Henley Royal Regatta for Nottingham Rowing Club. Now, Richard can still be seen on the banks of the river, taking in a run along the banks of the Thames, or attempting to play touch rugby in Regents park. Richard has been with The Sports Consultancy since April 2016. 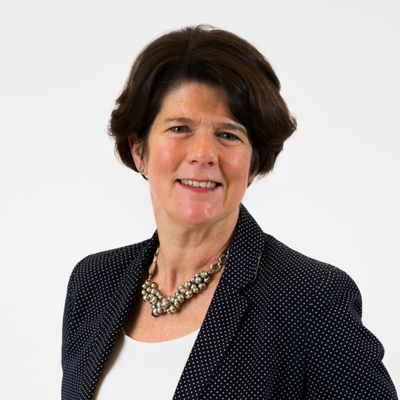 Lucy started her career in the early nineties planning and implementing highly successful sponsorship campaigns across a wide range of sports and arts projects for corporate clients such as Allied Domecq, Computacenter, Egg and Unilever. Since joining The Sports Consultancy in 2008, Lucy has been responsible for sponsorship and marketing communications projects, working with clients such as AMD and Virgin and promoting Madrid’s bid to host the 2018 Ryder Cup. More recently she has taken on project managing consulting projects for clients including the Women’s Tennis Association (WTA), International Basketball Federation (FIBA) and the International Equestrian Federation (FEI). Lucy is happiest spending her downtime from work with her family, serving aces on a grass court and mogul bashing in the Alps. Matthew is a recent graduate of the University of Durham, having received his BA (Hons) in Music in the summer of 2012. Before joining The Sports Consultancy, he worked at the London 2012 Olympics and Paralympics, and as an intern in the Conductors & Instrumentalists division of IMG Artists, a leading classical music artist management company. 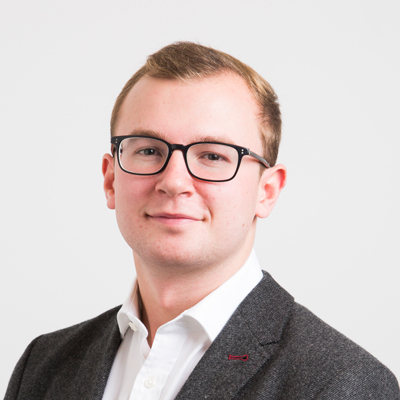 In his role as Analyst, Matthew is involved in many aspects of the business, working for clients in areas including rights holder and host city consultancy, as well as in the development of new events. Outside the office, Matthew enjoys playing and watching cricket, and is also a keen musician, playing trumpet in a variety of ensembles around London and beyond. 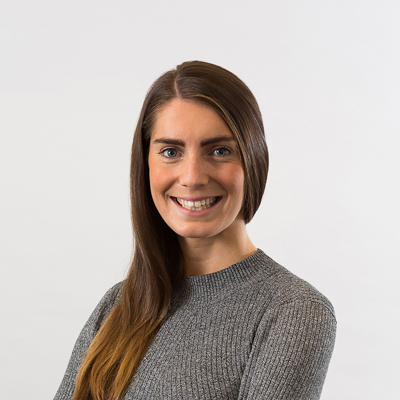 Taryn joined The Sports Consultancy in June 2015 after leaving Hudson Global Resources where she specialised in mid to senior level interim and permanent Marketing appointments into the public sector. Prior to this, she worked at Wimbledon Debenture Holders, Sky Sports and for IMG during the Wimbledon Championships and London 2012 Olympic Games. Taryn received a BSc (Hons) in Geography from Newcastle University and outside of work she is a keen tennis player. Greg first joined The Sports Consultancy team as a summer intern in 2014 before graduating to an Analyst role. 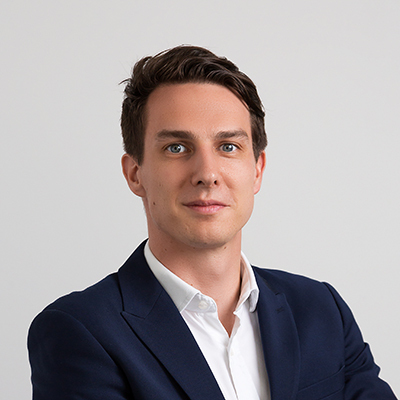 He worked across a range of projects for both city and rights holder clients, putting his degree in Italian and Portuguese to use advising international clients such as Volvo Ocean Race, Barcelona’s Ryder Cup 2022 bid, Rugby World Cup, and Dow Jones Sports Intelligence. He then spent 18 months working as an adviser and speechwriter to Lord Browne of Madingley, the former CEO of BP, where he was responsible for managing various chairmanships and board activities, political activity in the House of Lords and public engagements relating to Lord Browne’s four books. 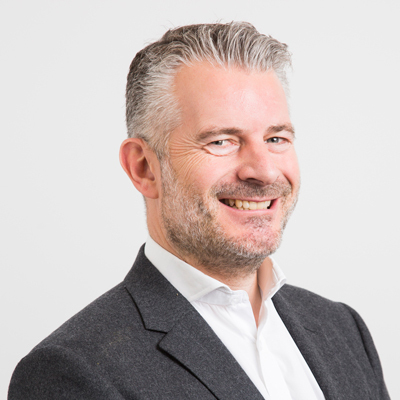 Greg returned to The Sports Consultancy fold as a Consultant in April 2017, where he supports our rights holder and city projects for the IAAF, Volvo Ocean Race, EventFlanders and London & Partners. Greg is at his happiest when trying to improve his climbing technique on indoor walls or planning his next trip to the mountains. 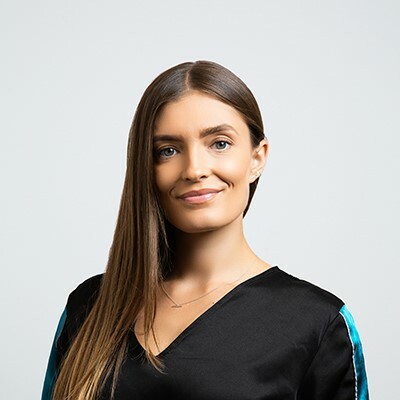 Monika joined The Sports Consultancy in September 2018, having previously worked for two major sports market intelligence providers – Stadia Solutions and Sportcal. Her main areas of expertise are sponsorship evaluation, customer and market research, and data analysis. Monika’s role at The Sports Consultancy is to provide insights and know-how to sponsors and rights holders, and to advise them on their commercial strategies. 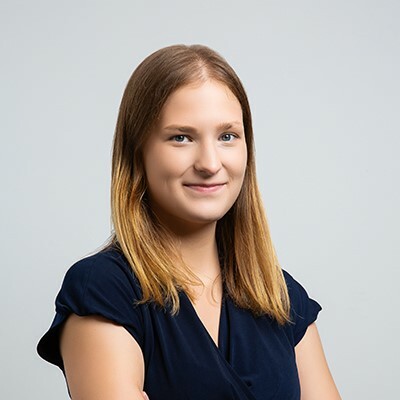 With a strong academic background, and speaking four languages (English, Italian, German and Polish), she is always on the look-out for new, creative solutions for her clients. Monika enjoys both watching and playing sports, and travels to remote/obscure football grounds in her free time. She is a certified skiing instructor and a football coach, and when not on the grass (or snow), she is most likely in the kitchen… baking cakes & pastries. 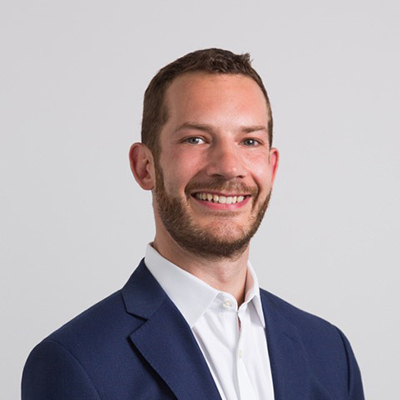 Shaun joined The Sports Consultancy from PwC’s Finance Consulting practice, specialising mainly in public sector finance. During this time, Shaun worked on a variety of projects for a number of leading international firms and government departments, including: HSBC, Heineken, Transport for London, the Ministry of Defence and Sport England. This work ranged from the procurement of finance systems to designing new management reporting suites and budgeting and forecasting processes. Shaun has always been passionate about sport and is now employing these skills as a Consultant working with our rights holder and host city clients. Outside of work, Shaun played football for the Leeds United and Bradford City Academies and continues to play for a team in London. He is also a keen golfer and can be found searching for his ball in the trees at his local course in North London. 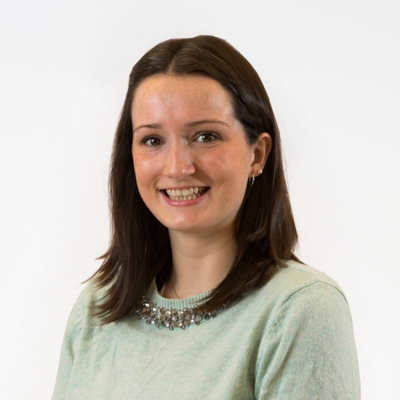 Since joining The Sports Consultancy as an intern within the Rights Marketing team in August 2016, Fiona has progressed to become a Rights Marketing Consultant. Her current role involves supporting the sale of sponsorship rights across the evolving Rights Marketing portfolio and developing relationships with prospective sponsors. She is responsible for carrying out research on brands, drafting proposals, developing the rights packages and maintaining key client relationships. Clients past and present include the IAAF World Athletics Championships and World Para Athletics Championships London 2017, British Athletics and the Yorkshire 2019 UCI Road World Championships. Prior to joining The Sports Consultancy Fiona graduated from Cardiff University with a degree in International Business Management in July 2016. In her spare time, Fiona is most likely to be found playing Lacrosse! Charlotte joined The Sports Consultancy in December 2017 from PwC’s Management Consulting graduate scheme. 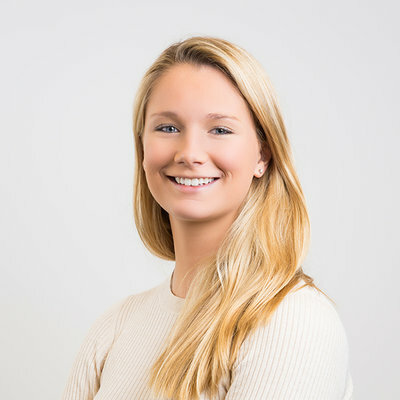 Prior to joining PwC, Charlotte interned at European Athletics in Lausanne in Switzerland, worked at the Wimbledon Tennis Championships and Henley Royal Regatta and volunteered at London 2012 where she was part of the Athletes Services Team at Dorney Lake. Charlotte is now able to combine her experience in consulting with her interest in sport. In her role as an Analyst, she works across a range of projects for a number of different clients including: the Federation Internationale d’Automobile (FIA), UK Sport, IAAF and Volvo Ocean Race. Charlotte studied French and Italian at Durham University and graduated in July 2016. Whilst she was there, she spent many frosty mornings with the university’s rowing team training on the River Wear and the Tyne. After moving to London, she now enjoys cycling and running as well as being a member of the TSC netball team! Before joining the Sports Consultancy, Tim graduated from Durham University with a Masters in Human Geography. Alongside his studies, he worked for a management consulting boutique and Lloyds Banking Group. Tim joined the Sports Consultancy off the back of an internship the previous summer. 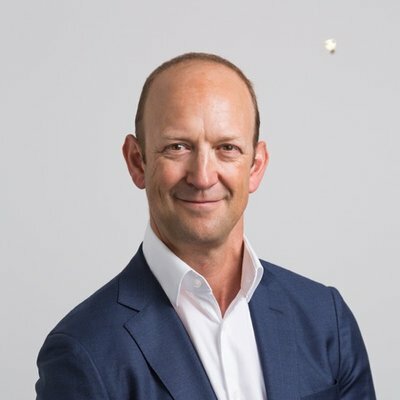 His current role has involved creating bespoke presentations for brands and supporting the sale of sponsorship rights around major athletics properties including the Diamond League and London 2017 IAAF World Championships. Outside the office, Tim enjoys travelling and middle-distance running. When not recovering from the latest niggle, he will be training to cut down his PBs. Ellie is a member of our Major Events and Venues team. She is primarily responsible for supporting the team; including researching and drafting proposals, providing research and analytical input to project work, report writing and presentation and developing and maintaining client relationships. Ellie joined The Sports Consultancy in June 2016 after gaining a Degree in Anthropology from Durham University. During this time she was heavily involved in University sports, principally as President of the Netball Club. 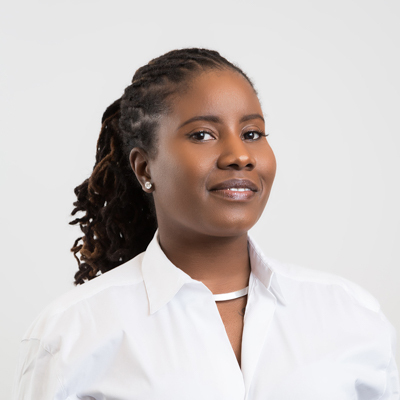 Prior to joining The Sports Consultancy, she worked at The House Nameplate Company; providing analytical support, product development and marketing solutions for the manufacturing company. Further to this, Ellie worked in a French ski resort for six months. Josh joined The Sports Consultancy as an Analyst in August 2017 and is now a Consultant as part of the Consulting team. 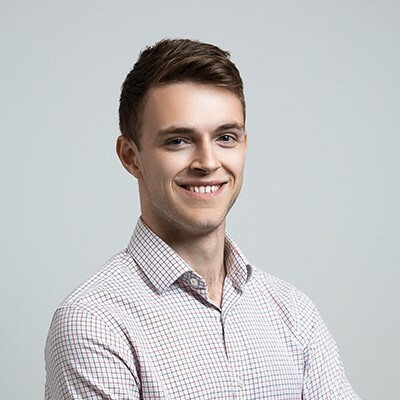 As a Consultant, Josh works on a variety of projects such as strategy development, host city procurement and new event creation for a number of clients including Oman Sail, Rugby Football League and EPCR. He is passionate about all sports, particularly rugby and football, and is now able to transfer this knowledge to support his clients in the sporting industry. 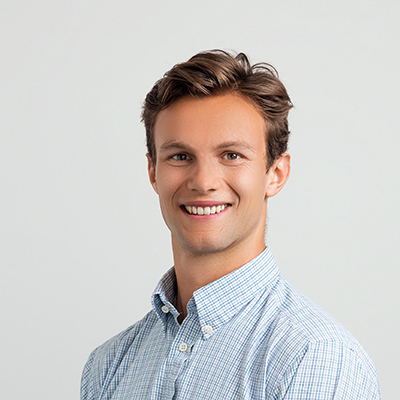 Prior to joining The Sports Consultancy, Josh graduated from the University of Bristol with a BSc in Geography with Quantitative Research Methods, where he enjoyed playing for the university rugby team. Sophie is a member of our Major Events and Venues team. She is primarily responsible for supporting the team; including researching and drafting proposals, providing research and analytical input to project work, report writing and presentation and developing and maintaining client relationships. She has worked on projects including the economic impact study for the IAAF World Cross Country Championships and the 2017 EPCR Champions and Challenge Cup Finals, and a feasibility study for the 2022 European Sports Championships. Sophie joined The Sports Consultancy in January 2017 after gaining a Degree in Economics with Geography from the University of Exeter. During this time she enjoyed participating in the University Netball Society and running events. 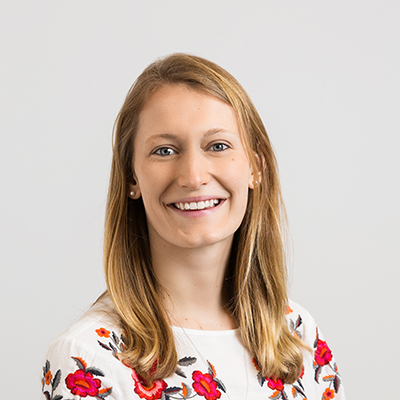 Prior to joining The Sports Consultancy, Sophie worked at Nuffield Health assisting with the acquisition of new gyms, and as an intern at BuroHappold Engineering in the Finance Department. 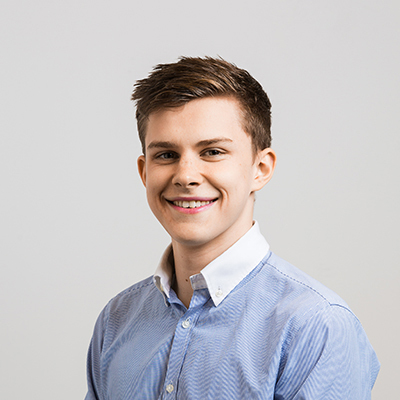 Nathan joined The Sports Consultancy as a Consulting Analyst in April 2018 after a successful 3 month internship working within both the Consulting and Rights Marketing departments. Prior to joining the company, Nathan graduated from the University of Edinburgh with a 2:1 MA (hons) in History. Outside of education, Nathan is an active sports fans, regularly playing football, cricket, golf and tennis as well as being a devote Liverpool FC supporter. As an Analyst, Nathan works on a variety of consulting projects ranging from host city procurement and strategy development as well as working with rights holders to help maximise their commercial value. 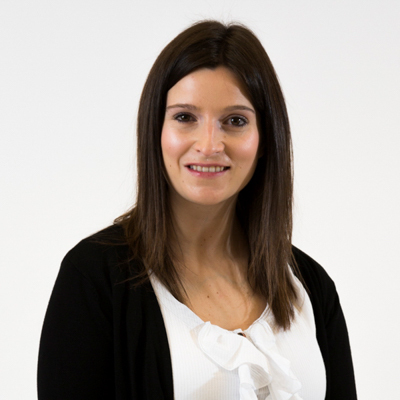 Esme joined The Sports Consultancy in 2015 as the PA to Managing Directors Robert Datnow and Angus Buchanan. She joins having worked as PA to a Sports Lawyer for 4 years. Esme is a self confessed fitness freak and a passionate equestrian (when time and escape from London allows). 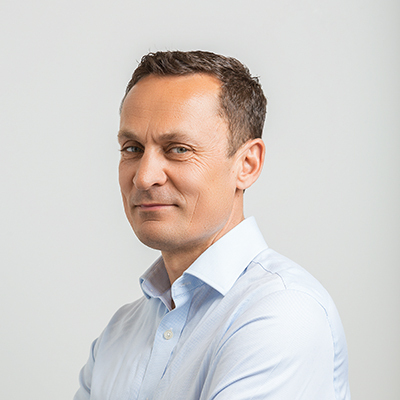 Paul joined the Company in November 2016. He is a chartered accountant, qualifying with Ernst & Whinney in 1986. Paul has worked since at The Grosvenor Estate and Workspace Group PLC. Paul is a keen follower of international rugby and cricket. He is a long time member of and player for the cricket team, the Old Rippolians aka the Raspberry Ripples. 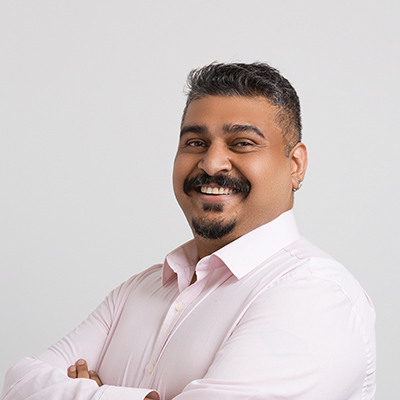 Sahil is an experienced creative director with over sixteen years of experience in design and communications across the creative cycle from concept to delivery. Working with national and international clients, he has managed and delivered high impact award winning campaigns and events. His focus has been in Presentations and Brand design, along with Communication Strategy, Art Direction, Sets & Exhibits and Marketing Collateral. Starting his career in a multi-discipline graphic design firm, Sahil went on to work for studios specialising in presentations, web and finally print. He went onto head design for internal communication globally at Aegis, which is a leading global business services provider of customer experience management. He then joined C. S. Direkt as Associate Creative Director where he designed executed the first social media push campaign for an Automotive brand in the country. Sahil comes to The Sports Consultancy from Salt, India’s fourth largest experience management agency, where he was heading the design team. Although you would not associate Sahil with sports, he is huge fan of sports films and movies in general. He’s also a huge graphic novel fan, particularly the DC universe. Jawad Graduated in MBA (Finance) from University of Wales (Cardiff) in 2011. Until he changed his career in 2014, he was working as a Customer services manager, Trainee Operations manager. 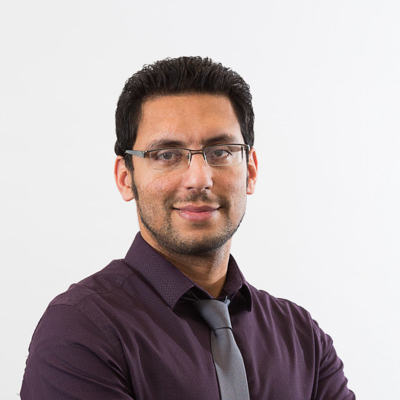 Jawad started in accounts and Finance (a more relevant role to what he had studied) in July 2014. He worked as an Accounts Assistant (Payable) and Senior Accounts Assistant (Receivable) before he joined TSC. In his free time, Jawad likes to explore country sides, Historic places, days out on seasides/safari parks, spending quality time with his family and singing. Davina joined The Sports Consultancy in 2017 as the Office Assistant and Junior PA to Marc Hope. After graduating from the University of Westminster in 2013 qualifying with BA in Commercial music Davina went on to pursue care career within recruitment surrounding healthcare. Davina has a passion for music and continues to channel this through mentoring and coaching via music in her spare time.